There is no denying the power of social media and the impact it has on business. In an age where technology is integrated into every part of our day-to-day lives, the frequency and immediacy with which information travels and is received can quickly cause public outrage, workplace disharmony and brand damage for a business. 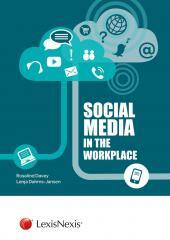 Social Media in the Workplace provides insight and guidance on the use of social media in the workplace. 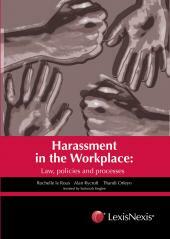 The authors consider the legal implications of social media use, identify some of the risks that today's businesses and employers face as a result of social media use, and articulate ways in which the risks can be managed and mitigated. Sexual Haras. In Work Post.